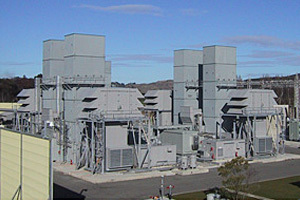 The Whirinaki Power Station is a 155MW open cycle gas turbine power station located about 15 minutes from Napier. Following national power shortages in 2001 and 2003 the government commissioned Contact Energy to build a peak demand plant which could be run when the hydro lakes approach critically low levels. 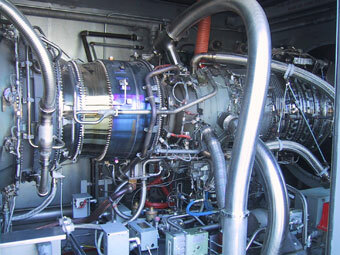 The station was opened in 2004, and comprises of three Pratt & Whitney twinpacs, each with two FT8 gas turbines. The plant currently runs on diesel which is trucked in from the Napier port and unloaded into bulk tanks on site. The plant was designed so it could be run more economically on gas should there be a pipeline installed in the area at a later date. Contract Instrumentation Services was involved in the construction and commissioning phases of this plant subcontracting to Alstom who were the main electrical contractor. There were approximately 500 instruments spread between the three turbines and ancillary plants. Contract Instrumentation Services commissioned all instruments on the turbines under the direction of the Pratt & Whitney commissioning engineers from the USA and commissioned the ancillary plant instruments in conjunction with the local design team. The site was previously occupied by a 220 MW power station, which began operation in 1978. This original plant was also diesel fired and was supplied with diesel from the port via a pipeline. Unfortunately because the plant ran on diesel it was very costly to run so in 1993, one twin-pac was moved to construct a cogeneration plant at the Te Awamutu dairy factory and the remaining three units were later sold and removed in 2001.